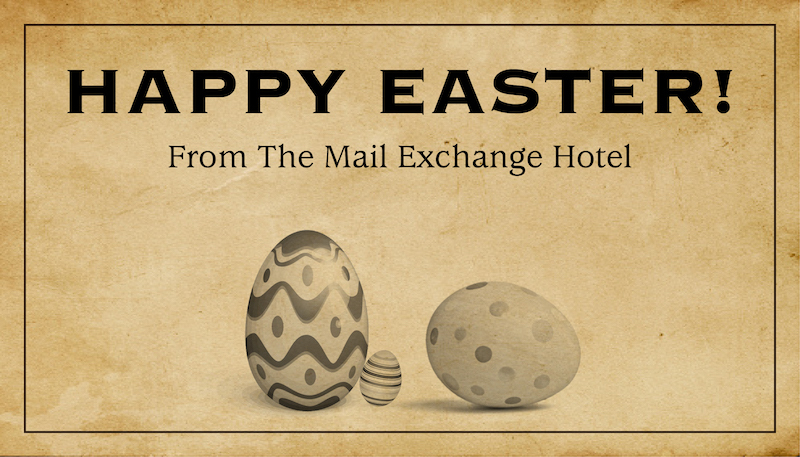 Happy Easter from the Team at Mail Exchange Hotel. If you’re in the city this Easter, visit us. We’d love to say hello! Please note: Kitchens from midday. Looking for a place to dine at for lunch or dinner? Remember to book in!